Now that March is finally here, it's almost time to celebrate St. Patrick's Day. While your little ones may be having a few parties or events in honor of the holiday at school, you may want to consider a few activities at home to get them in the Irish spirit. Here are a few fun ways to get ready for St. Patrick's Day. There's a leprechaun protecting a large pot of gold at the end of every rainbow, according to Irish legend. 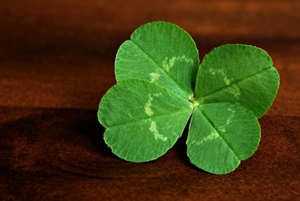 If you're looking to incorporate this folktale into St. Patrick's Day activities, consider designing a treasure hunt for your children. Using a homemade map detailing various landmarks in your backyard or neighborhood, the kids can uncover clues to lead them to the gold. For an arts and crafts project that will boost your St. Patrick's Day fun, try your hand at creating a green top hat out of thick construction paper. All you need is a couple of sheets of green paper, scissors, markers and glue to create the classic top hat shape. Add a buckle and a shamrock, and your kids will be ready to party. If your kids are always looking to help out in the kitchen, baking Irish soda bread together can be very rewarding. This delicious semi-sweet bread can easily be made in an afternoon using many ingredients you probably already have in your home.